When your freedom is on the line — you need an experienced attorney by your side, aggressively fighting for your rights. The experienced criminal defense attorneys at Elder Brinkman Law are ready to legally represent you if you have been charged with a crime. Our battle-tested trial lawyers will do everything in their power to ensure that your rights are upheld and that you receive the best defense available. If you are facing misdemeanor or felony charges with the potential to serve time in prison, you cannot settle for second best! When your freedom is at risk, you need a proven criminal defense team standing next to you every step of the way. In many situations, the nationally recognized and award-winning trial lawyers and criminal defense attorneys at Elder Brinkman Law may be able to uncover certain arguments and factors that could mitigate or even negate the charges against you. Our attorneys offer aggressive criminal defense to individuals charged with crimes in throughout the State of Michigan and in the Midwest. In addition to representing individuals on state charges, our lawyers can represent individuals charged with federal crimes. Our criminal law attorneys are experienced trial lawyers and prepare from day one to take your case to trial if necessary. 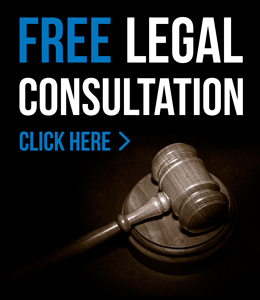 Individuals seeking to reverse the outcome of an unsuccessful criminal case often contact us. A criminal appeal is a highly technical legal pursuit. Experience and staying current on the latest appellate and Supreme Court decisions are necessary to a successful criminal appeal. For more information about the criminal defense attorneys at Elder Brinkman Law or to schedule a free initial consultation regarding a criminal charge, contact our office today or call us directly at 313.582.5800.